In my house, we always seem to have an overloaded refrigerator. I know it's a first world problem that any person would love to have. Finding enough space particularly in the freezer can be a pain. After all, we always have to have a lot of meat to store plus the three different flavors of ice cream to satisfy our sweet tooth. Having enough space in the freezer is always a premius since we try not to let food go bad. That is why getting the Hisense FC72D6BWE 7.2 cu ft Chest Freezer makes sense for many households. It'll give you extra space in your freezer for higher priority items (see the aformentioned ice cream) since it'll allow you to store everything else in here. 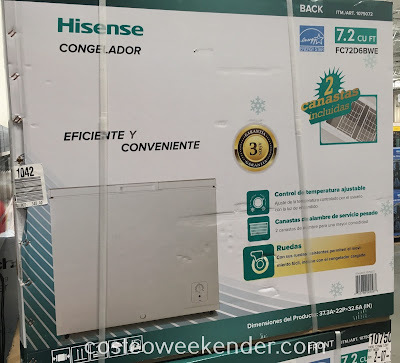 Just put the Hisense FC72D6BWE Chest Freezer some place like the garage. 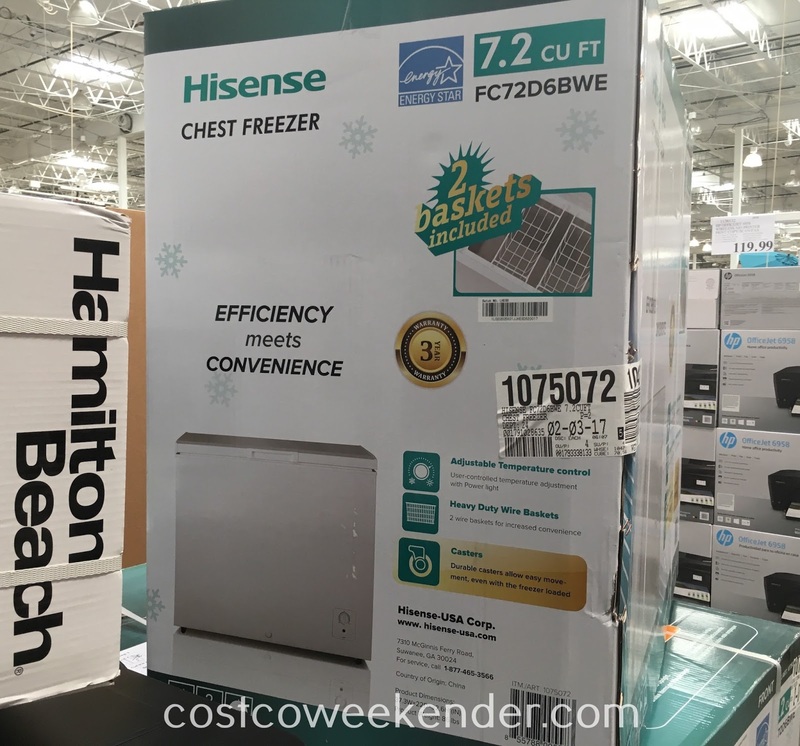 This comes in handy especially after you run to Costco where it's not uncommon for you to stock up on meat that could last quite a long time. This meat needs to be frozen if you don't intend on using it anytime soon. Now you can just save those expensive cuts of meat and are not pressured into cooking it just for the sake of it not going bad. Little late on this, they've had these over over a month now and a $30 rebate expired on 2/20. 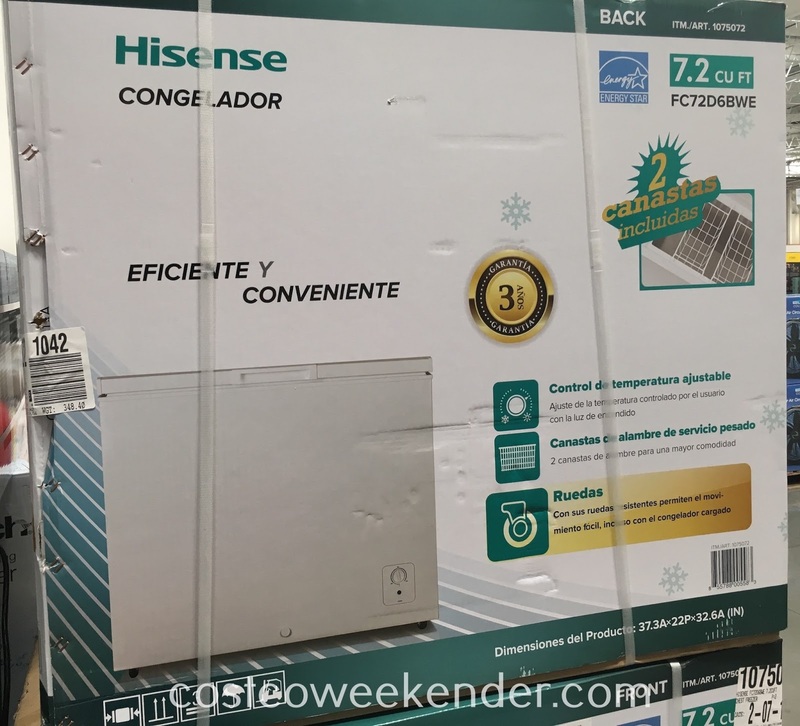 Oh that's a bummer that the rebate for the Hisense FC72D6BWE Chest Freezer already expired. 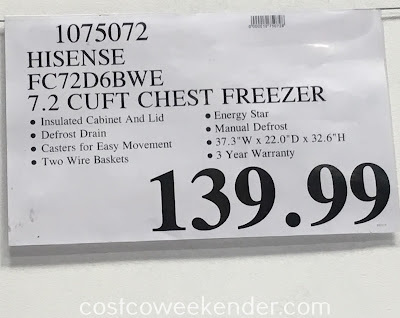 Well, the freezer is still in Costco but just without the rebate for those who are still interested in it. Thanks for letting us know about the recently expired rebate @Anonymous.